Affordable New Homes in Round RockIf you’re looking for new homes in Austin, be sure to put Traditions at Vizcaya on your must-see wishlist. 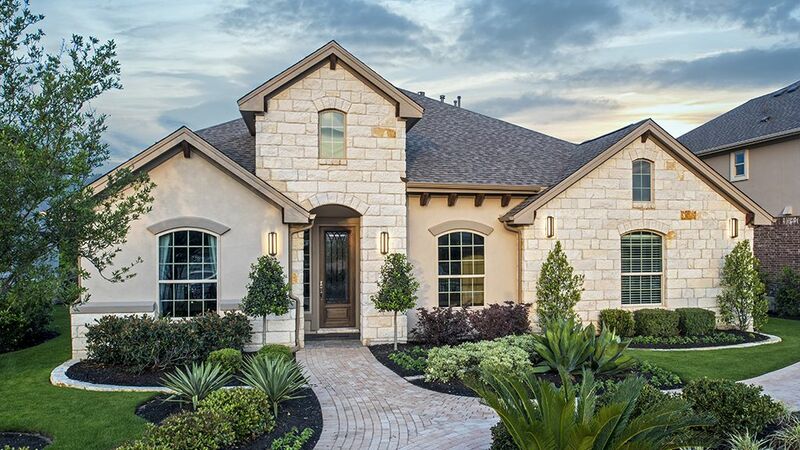 This new community is in the fast-growing, highly desirable city of Round Rock, Texas. With three distinct collections of homes in a beautiful location and an amenity-rich lifestyle filled with opportunities to play, learn and relax, Traditions at Vizcaya is a community you'll want to call home.New Taylor Morrison Homes at Traditions at Vizcaya Explore three new home collections by Taylor Morrison, each designed for great living and entertaining: The Villas Collection, the Enclave Collection and the Estates Collection. Priced from the upper $200,000s, new homes in the Villas Collection offer several affordable one and two-story floor plans ranging in size from approximately 1,865 to 2,845 square feet. The Enclave Collection offers more space with homes priced from the low $300,000s. With eight, distinct single- and two-story homes to choose from, there’s something to appeal to everyone. With additional room to roam, Taylor Morrison’s beautiful Estates Collection includes many beautiful home choicesThings to do at Traditions at Vizcaya Traditions at Vizcaya is a community designed to help you live life to the fullest with a fantastic amenity center that includes a resort-style pool with lap lanes and a beach area, miles of walking and biking trails, and beautiful surroundings.Things to do in Round Rock Looking for fun? There are plenty of things to do in Round Rock. Dell Diamond is just minutes away.